My aunt ran an art deco cinema down the country and I would spend me summer holidays in the cinema with her. I think that my great love of the cinema comes from spending those summers in the dark, the cinema was our playground. I worked in New York for 10 years, with the New York Times for 7 and have also been a member of the Redux Picture agency in New York since 2000. 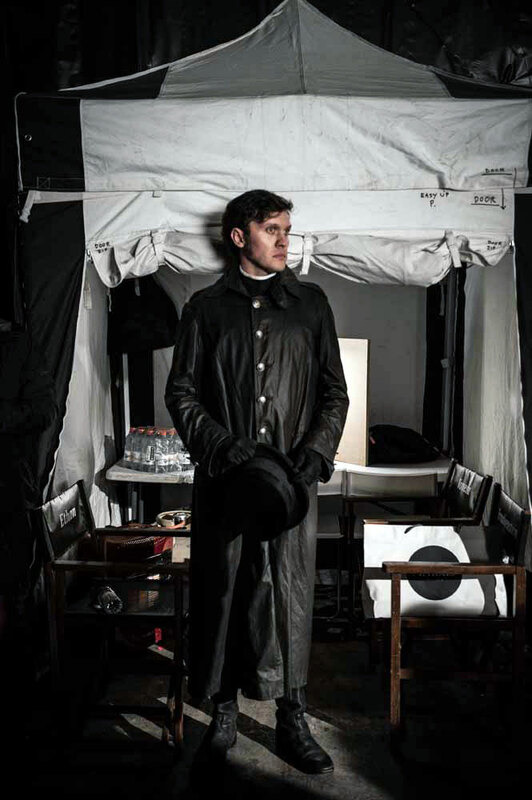 Through the Times and Redux I have had the opportunity to work behind the scenes on some great TV Drama’s and films. 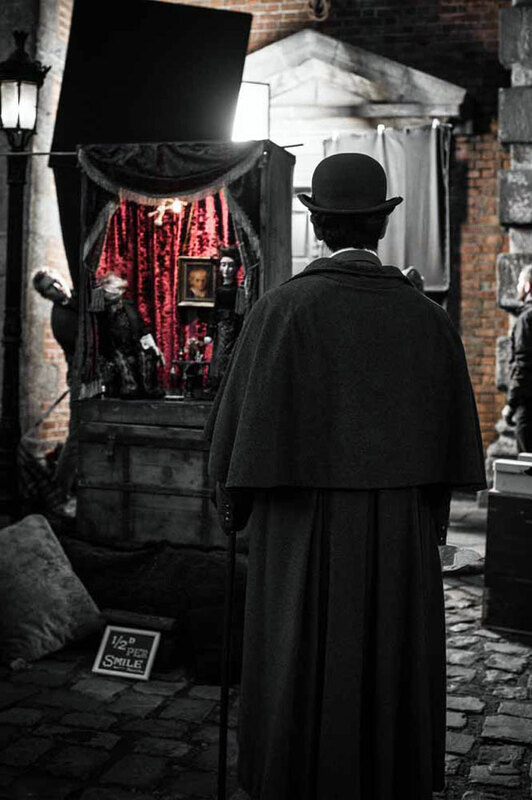 Through Redux Pictures I recently produced until stills from behind the scenes on the set of Penny Dreadful for the Hollywood Reporter. When Josh Harnett comes up and introduces himself to you on a Monday morning you know that film stills photography is a great job to be doing. It was also quite an experience to see close up such great actors , directors and crew perform their craft. 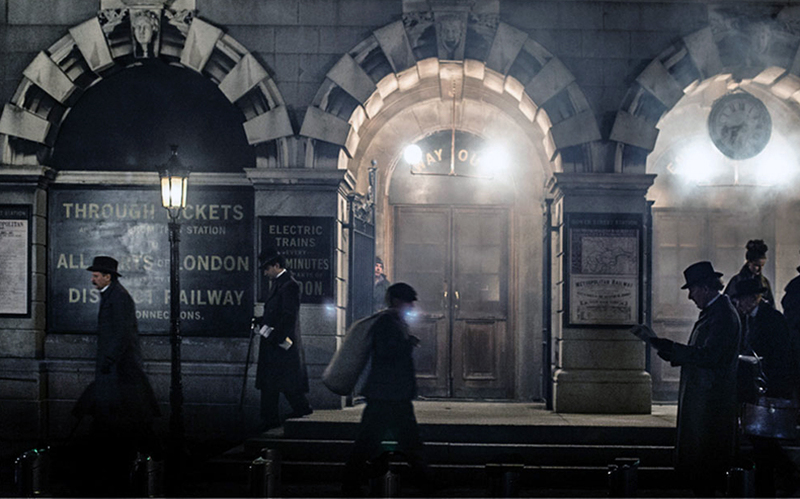 The thing I also love about TV and film unit stills is that you constantly have great scenes in front of your eyes to photograph, it is like being visually spoiled. In my spare time I work on street photography projects and it involves a lot of waiting before a great scene or person crosses your path, with film stills there are great moments constantly in front of you. 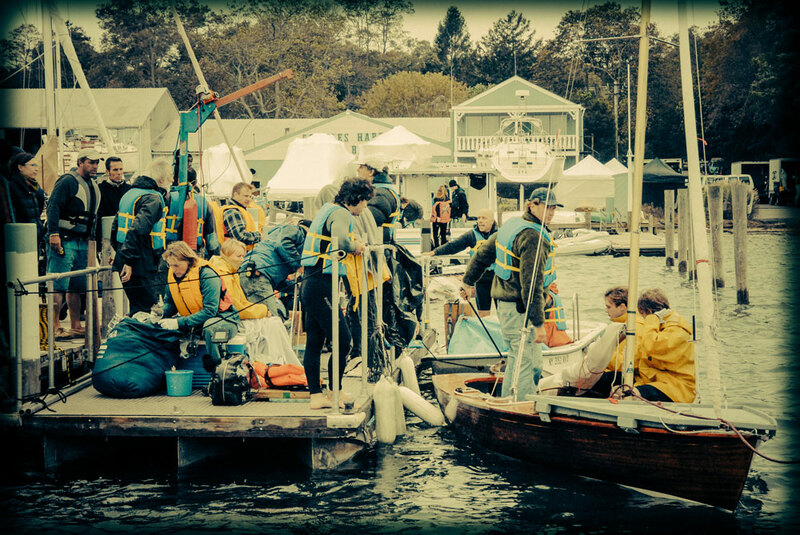 I also love capturing those behind the scenes photographs and the moments between takes when everyone is being themselves, catching a quiet moment or preparing for a scene. They add to the story of the set and I also like to capture the many other talented individuals who do not appear on the screen. I am very down to earth and unobtrusive in my approach, I find people feel at ease in my company and I have the talent of blending in so that no one really notices me which allows me to work to the fullest. 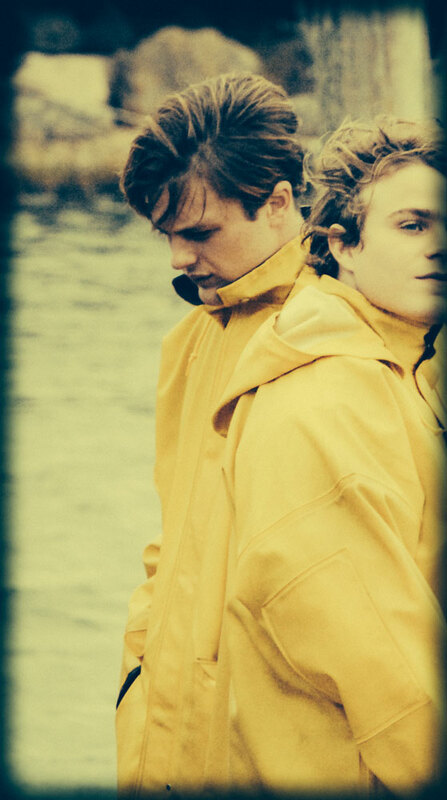 There is a gallery below of various tv, film and production stills that I hope you enjoy. If you are looking for unit stills photographer for TV, film or advertising in Dublin or across Ireland please call me on my mobile at 087 995 1252 or email at deirdre@deirdrebrennan.ie I would love to hear about the project. 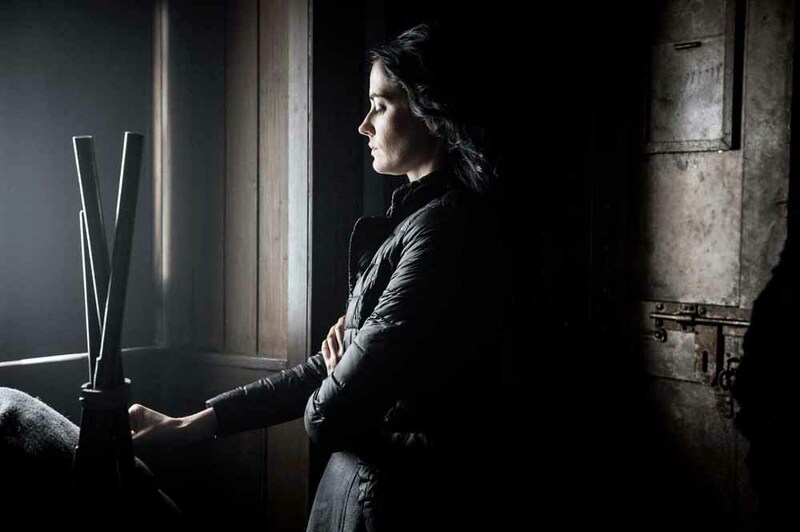 TV Unit Stills Photographer in Ireland Deirdre Brennan photographs the actress Eva Green between takes on the set of the TV series Penny Dreadful. 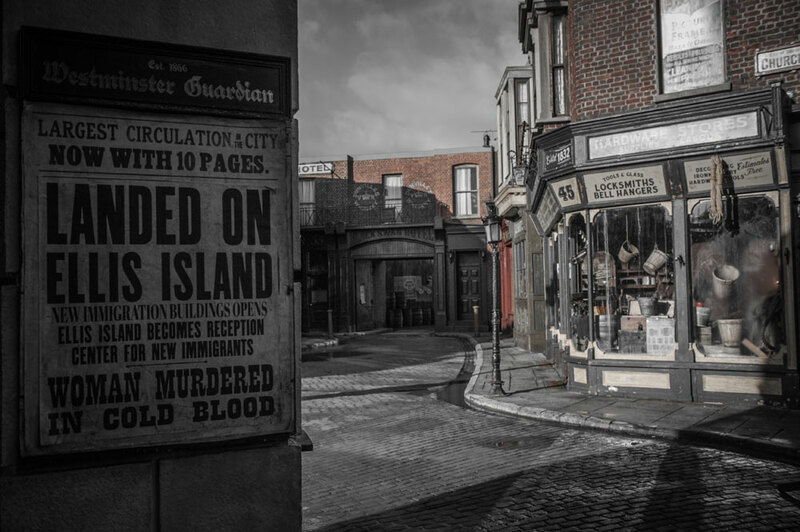 Production stills photograph of sets built at Ardmore Studios in Ireland for the TV series Penny Dreadful. 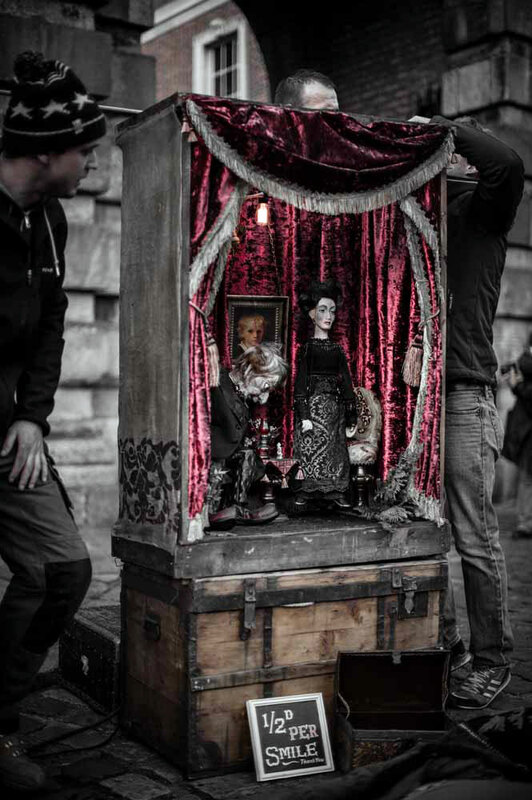 Production Stills Photographer Deirdre Brennan photographs on the set of the TV series Penny Dreadful. 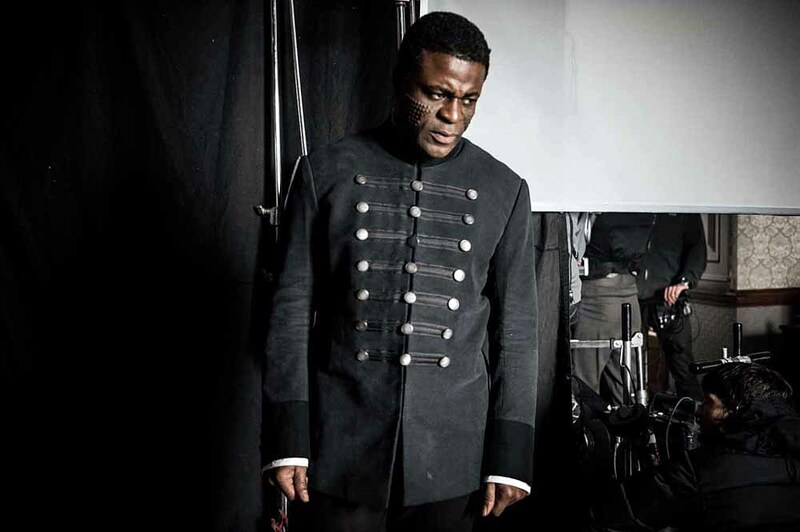 Production & TV stills photographer Deirdre Brennan photographs actor Danny Sapani between takes on the set of the TV series Penny Dreadful at Ardmore Studios in Bray, Co. Wicklow. 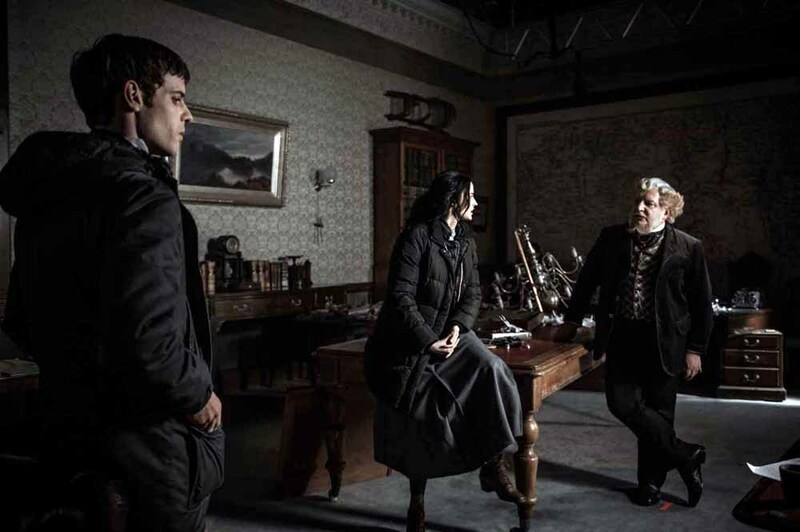 TV Stills Photographer Deirdre Brennan photographs actors Harry Treadaway, Eva Green and Simon Russell Beale as the prepare for the filming of a scene on the set of the TV series Penny Dreadful. 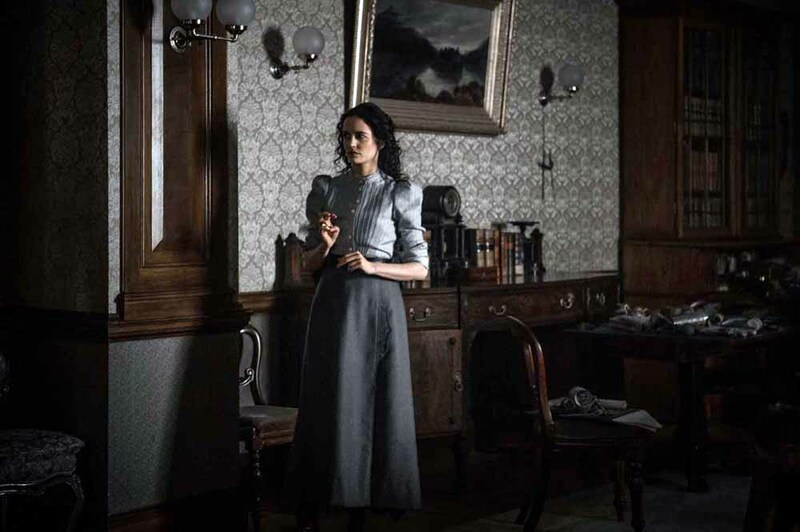 Unit stills photographer Deirdre Brennan photographs the actress Eva Green as she prepares for a scene on the set of Penny Dreadful. 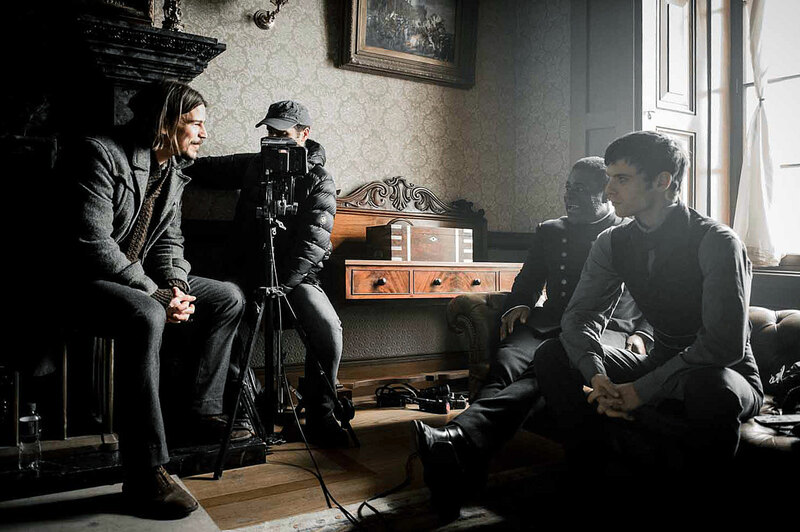 Actor Josh Hartnett photographed behind the scenes on the set of of the TV series Penny Dreadful by photographer Deirdre Brennan. 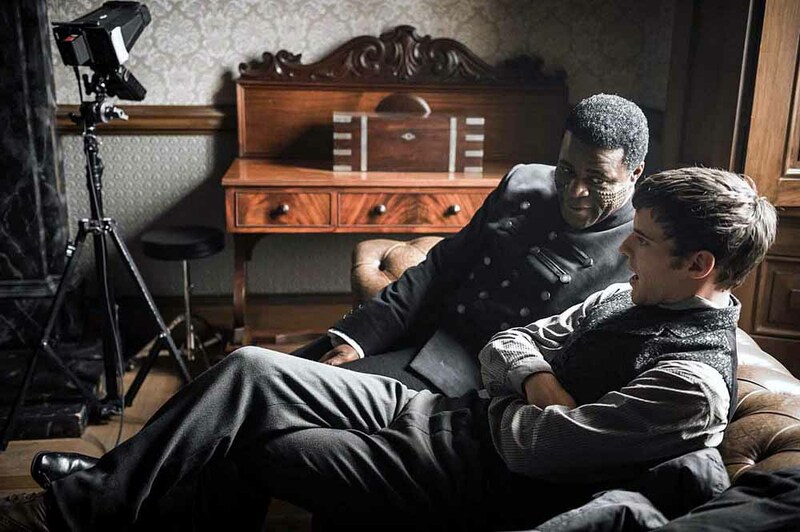 Actors Danny Sapani and Harry Treadaway photographed between takes on the set of Penny Dreadful by production stills photographer Deirdre Brennan. 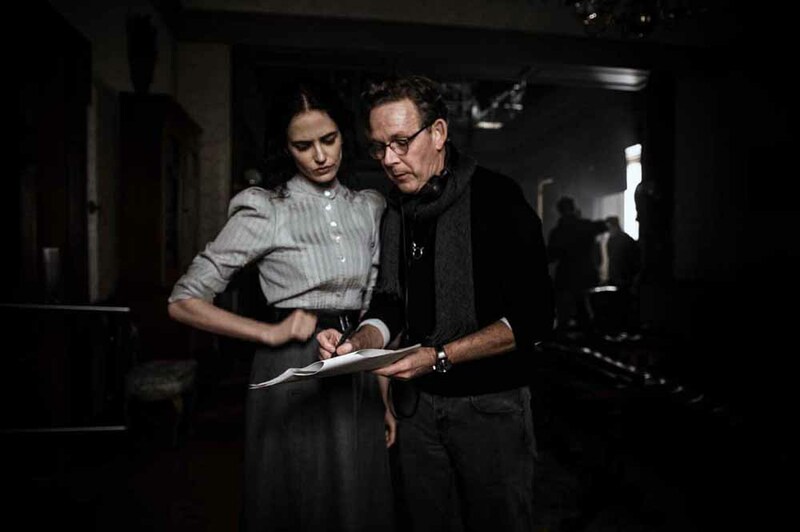 TV stills photography on the set of Penny Dreadful of actress Eva Green discussing the script with creator and executive producer John Logan between takes at Ardmore Studios in Ireland. 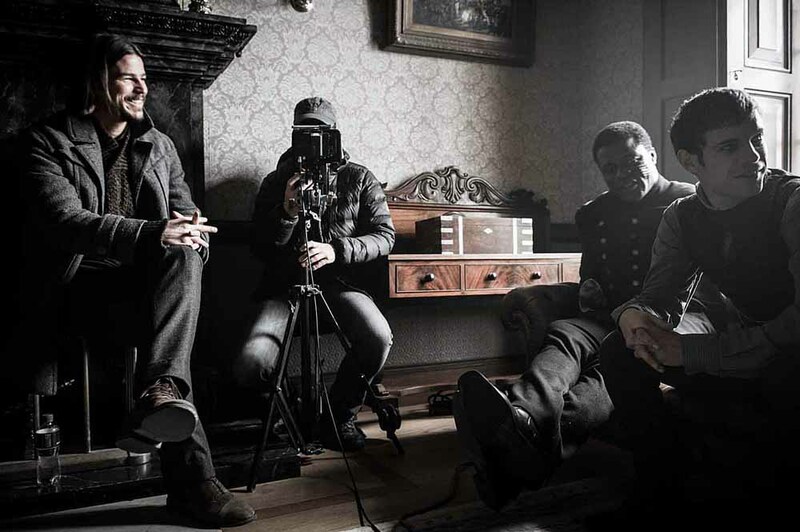 Behind the scenes photography by Deirdre Brennan of actors Josh Hartnett, Danny Sapani and Harry Treadaway on the set of Penny Dreadful at Ardmore Studios in Ireland. 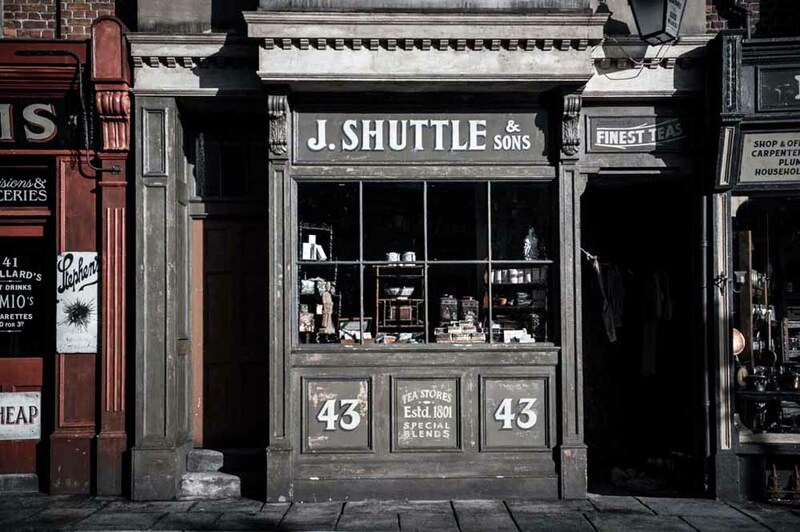 Production and TV stills photography by Deirdre Brennan of a street constructed for the TV series Penny Dreadful at Ardmore Studios in Ireland. 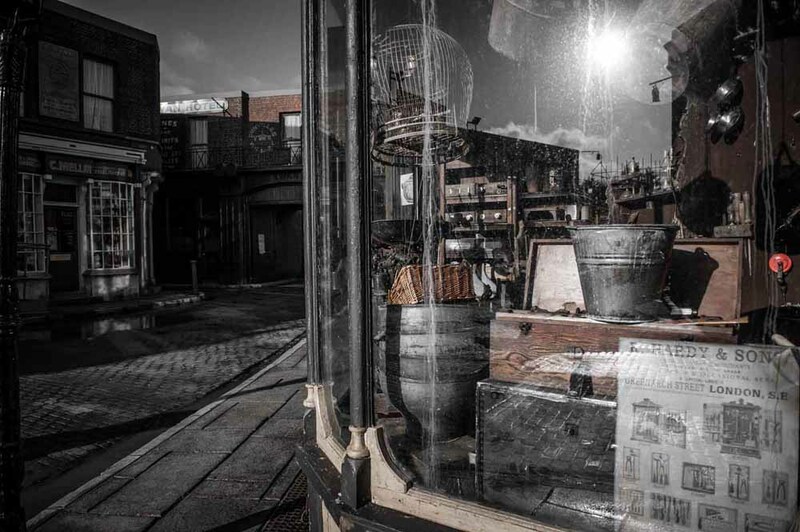 Unit stills photographer Deirdre Brennan photographs a store front window created at Ardmore Studios in Ireland for the set of TV drama Penny Dreadful. 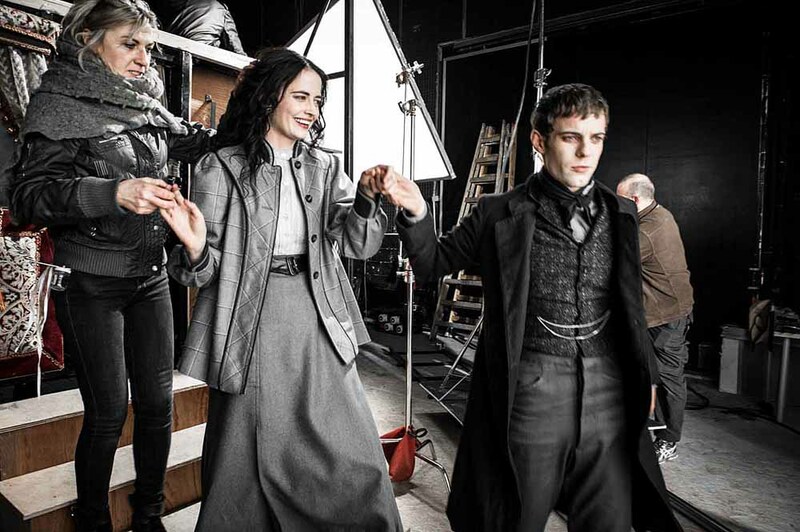 TV & Unit Stills Photographer Deirdre Brennan photographs actors Eva Green and Harry Treadaway as they finish shooting a scene on the set of the TV drama Penny Dreadful. 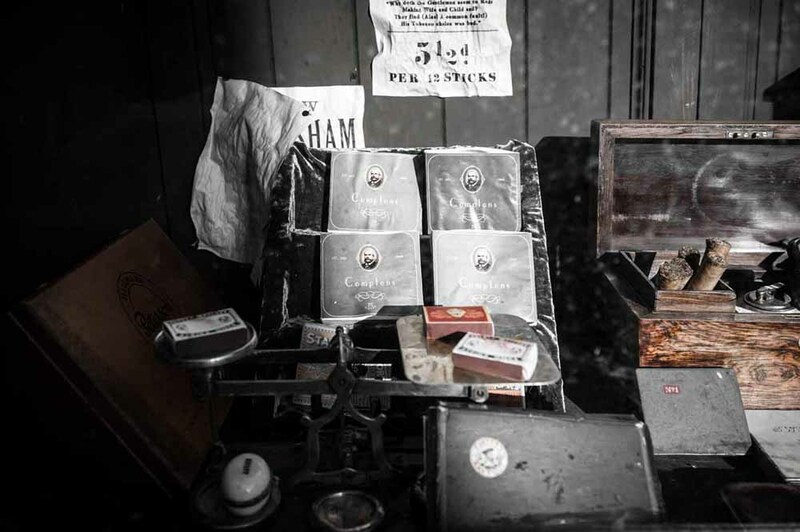 Behind the scenes photography on the set of the Showtime TV drama Penny Dreadful filmed at Ardmore Studios in Ireland. 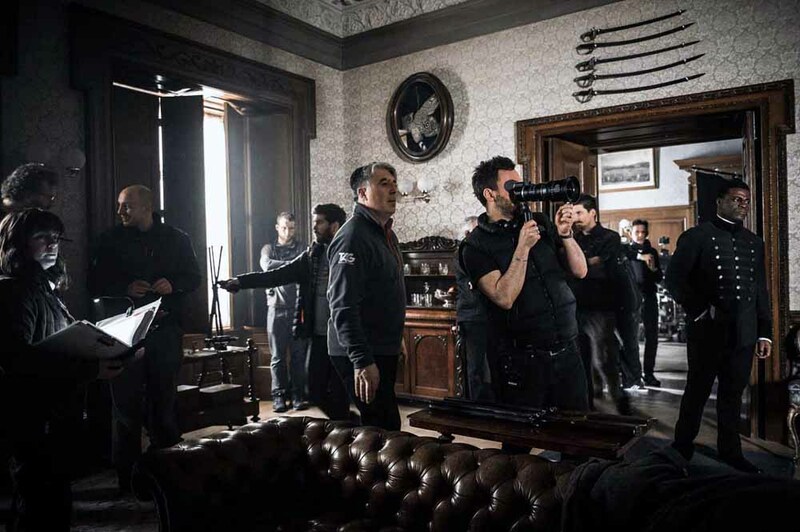 Unit stills photographer in Dublin Deirdre Brennan photographs a scene from the TV drama Penny Dreadful being filmed at Dublin Castle. 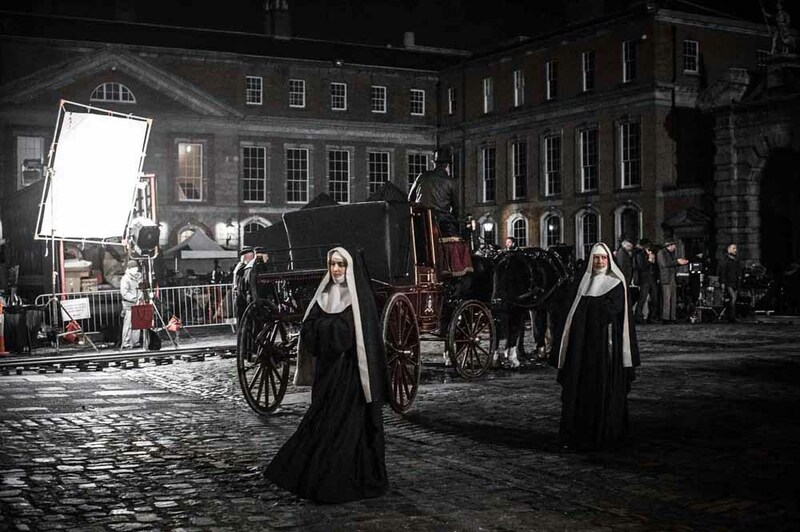 Tv and unit stills photographer Deirdre Brennan photographs a scene from the set of Penny Dreadful that was being filmed on the grounds of Dublin Castle. 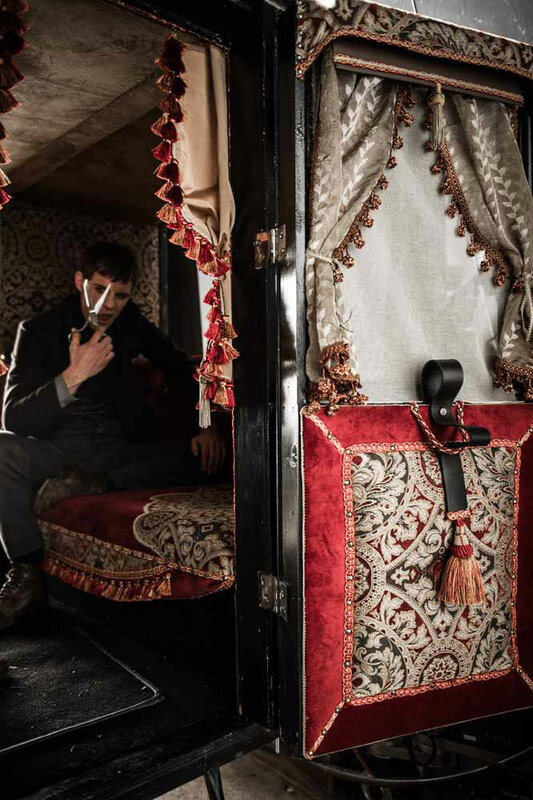 TV and unit stills photography on the set of Penny Dreadful that was being filmed at Dublin Castle. 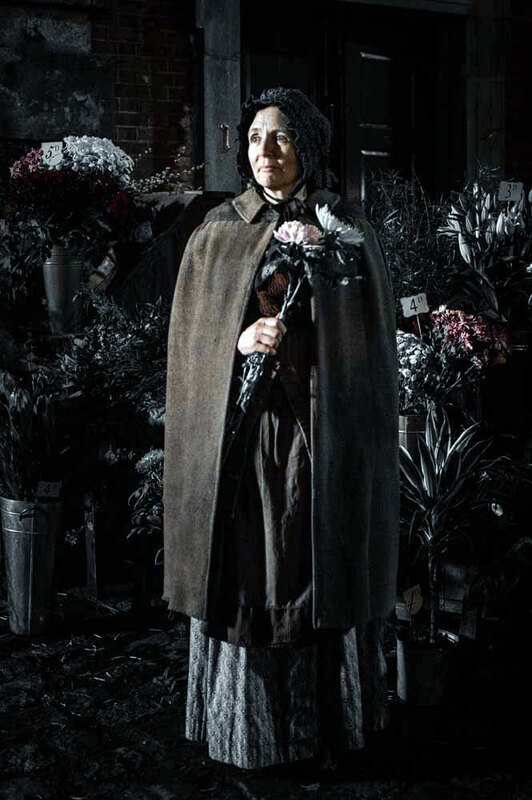 Tv and unit stills photographer Deirdre Brennan photographs a woman selling flowers in an episode of the Showtime TV drama Penny Dreadful being filmed in the grounds of Dublin Castle. 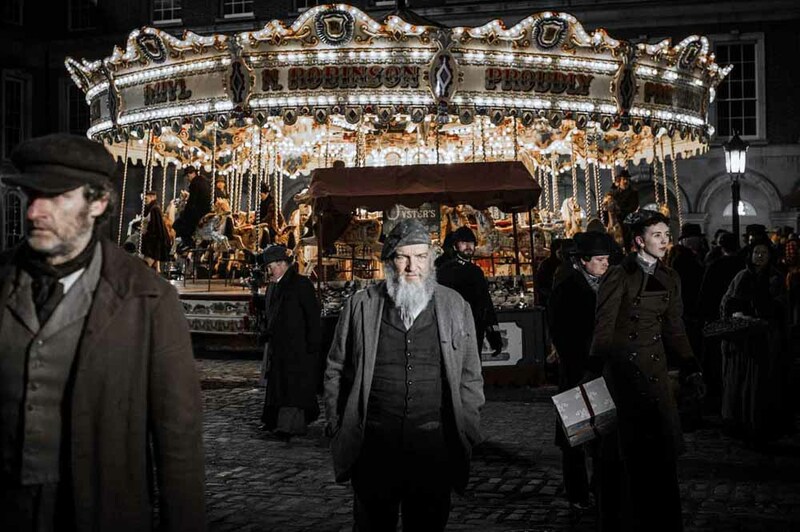 Production stills photographer Deirdre Brennan photographs extras waiting to walk through a scene from Penny Dreadful being filmed on Francis Street in Dublin. 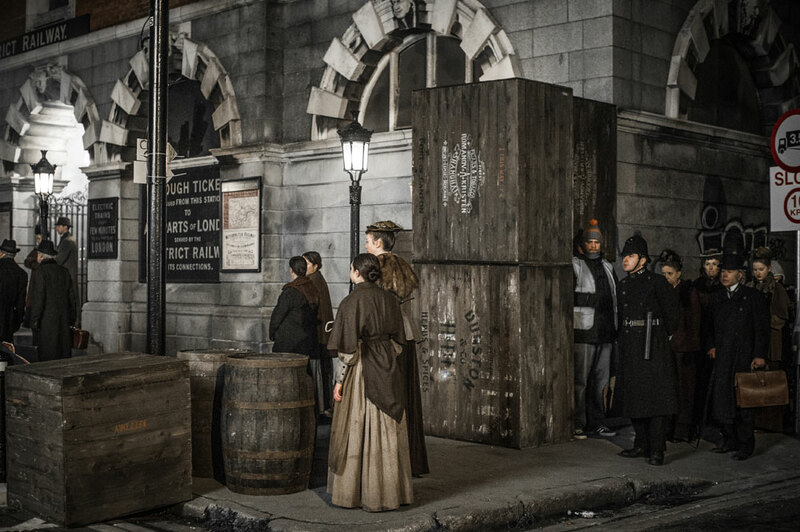 Behind the scenes photography of extras waiting to walk into a scene from the TV drama Penny Dreadful being filmed on Francis Street in Dublin. 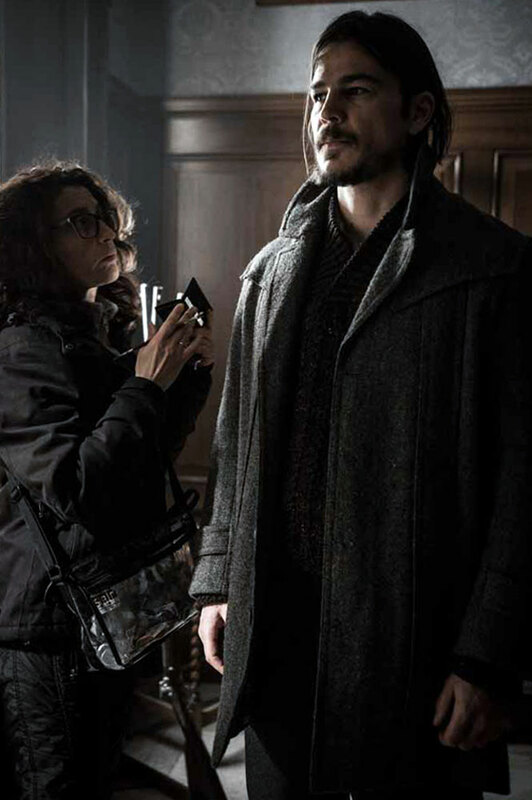 Movie still photographer Deirdre Brennan photographs a scene from the set of the Showtime TV Drama Penny Dreadful that was being filmed at Dublin Castle. 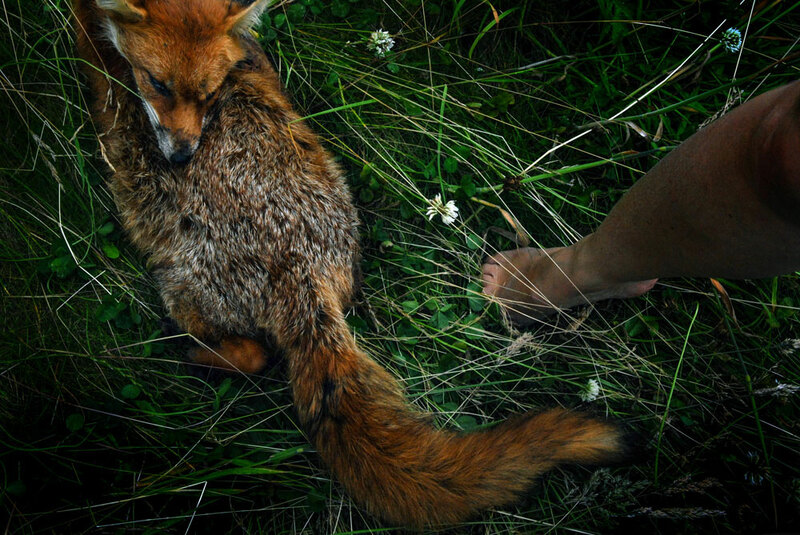 Film stills photographer Deirdre Brennan photographs a scene from the set of the Irish short film Foxes. Movie stills photographer Deirdre Brennan photographs actors Tom Vaughan-Lawlor and Marie Ruane in a scene from Irish short film Foxes. 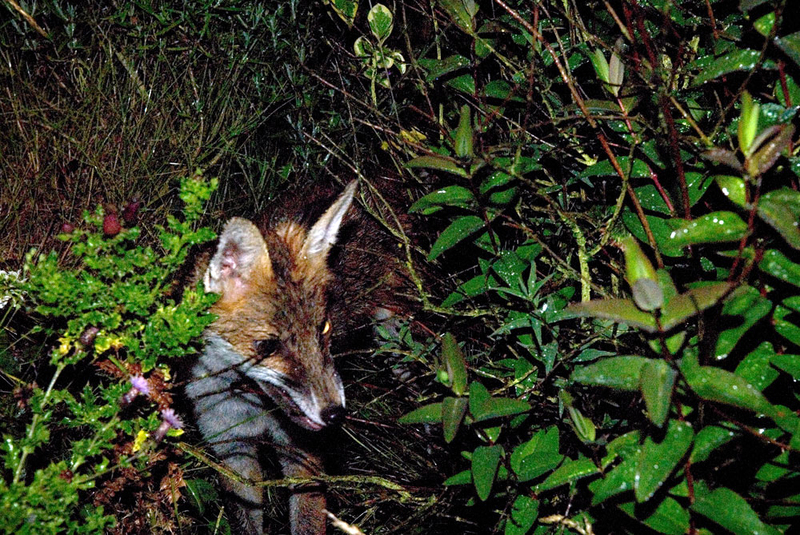 Movie stills photographer Deirdre Brennan photographs a live fox in a scene from Irish short film Foxes. 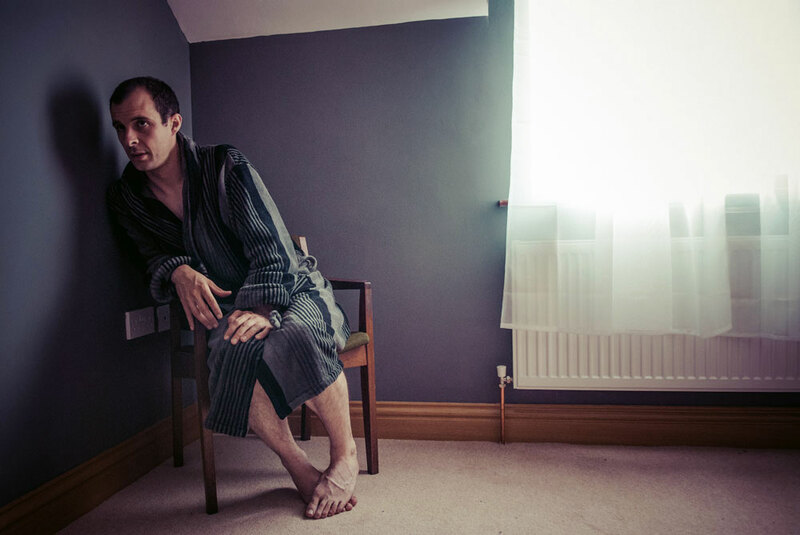 Film and unit stills photographer Deirdre Brennan photographs actor Tom Vaughan-Lawlor between takes on the set of the Irish short film Foxes. Film stills photographer Deirdre Brennan photographs actress Marie Ruane as seen through a kitchen at night in a scene from Irish short film Foxes. Film stills photographer in Ireland Deirdre Brennan photographs the actor Tom Vaughan-Lawlor in a scene from Irish short film Foxes. 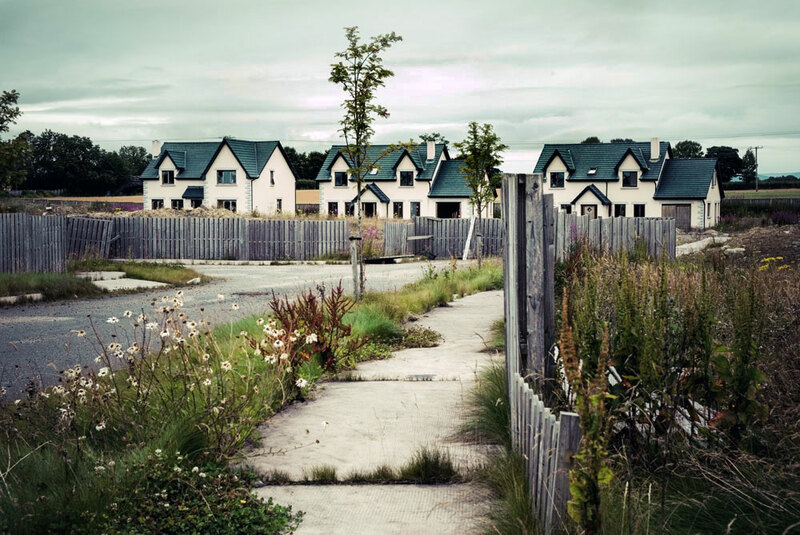 A movie still of a ghost estate in Ireland in which the Irish short film Foxes was set. 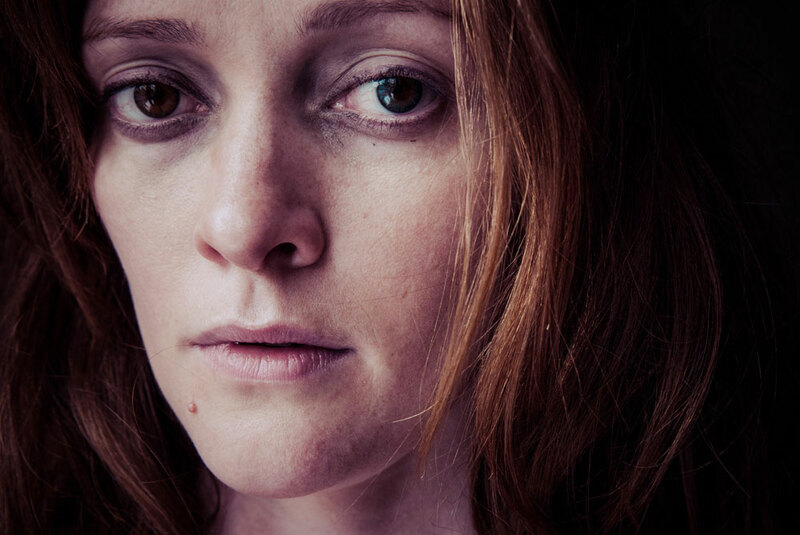 Actress Marie Ruane photographed in a scene from Irish short film Foxes by film stills photographer Deirdre Brennan. 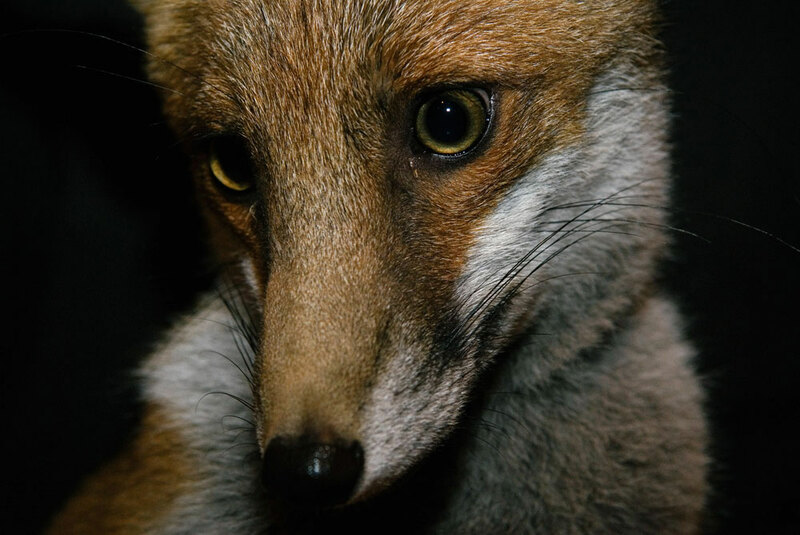 A portrait of a tame fox by movie stills photographer Deirdre Brennan that was featured in the the Irish short film Foxes. 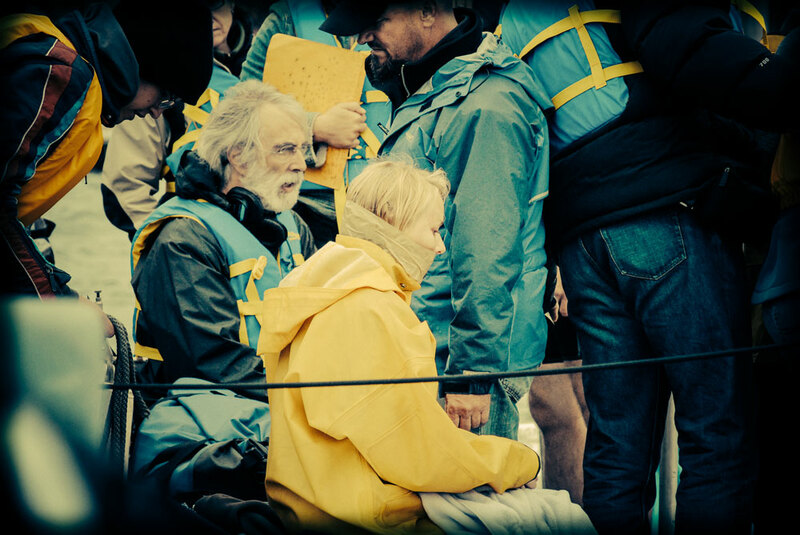 Film stills photography of Naomi Watts directed by Michael Haneke as they prepare for the ending scene of the film Funny Games. 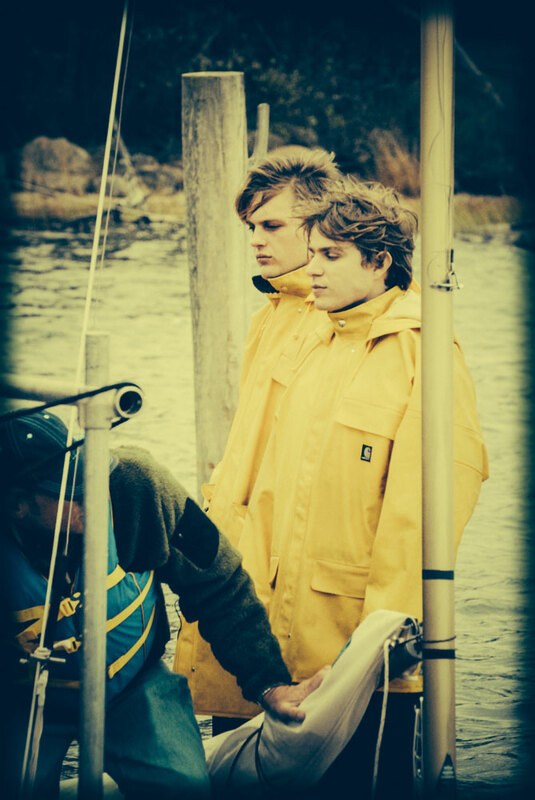 A film unit still by Deirdre Brennan of actors Michael Pit and Brady Corbet as they prepare for the ending scene of the film Funny Games. 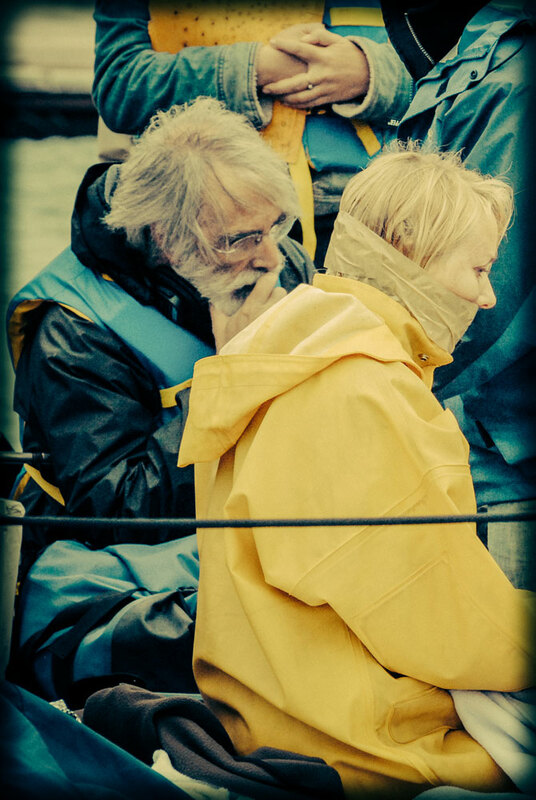 Film production stills photography of Naomi Watts and director Michael Haneke in preparation for the final scene of the film Funny Games. Thank you so much for all you hard work for this event- the photographs looks amazing.